Josef Von Sternberg’s UNDERWORLD (1927) brought the gangster picture back from obscurity — if Griffith’s MUSKETEERS OF PIG ALLEY is the first wave, and Walsh’s REGENERATION inaugurates the second, this one starts another torrent which continues almost unbroken into the Warner Bros talking era. 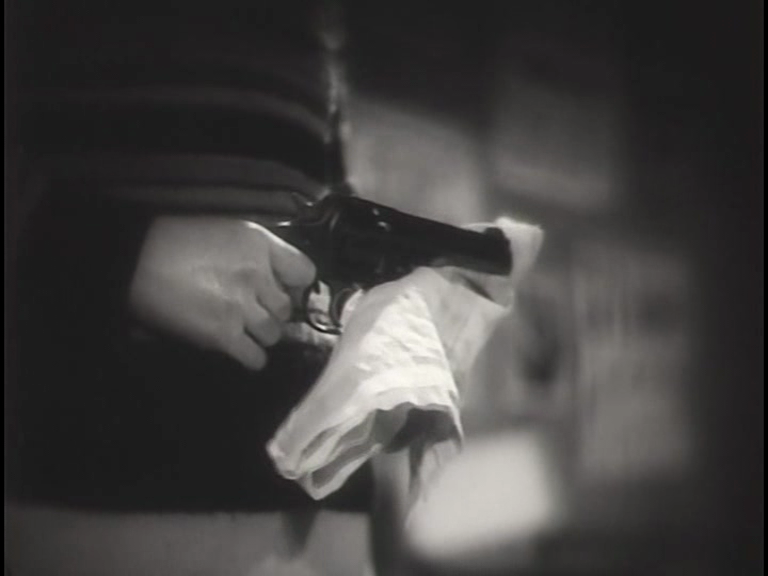 Now that great confabulator Howard Hawks, a quasi-friend and sometime collaborator of Sternberg’s (they shared the screenwriter Jules Furthman) claimed that when he proposed a gangster pic to Ben Hecht, Hecht wasn’t interested because he felt the genre was played out. Hawks pitch of “the Borgias in Chicago” is said to have changed his mind. But if Hecht was afraid of repeating himself with SCARFACE (1932), would he have reprised so many of the earlier film’s tropes? Bull Weed (the repulsive George Bancroft) looks up at a neon advertisement promising “The City is Yours.” Tony (Paul Muni) admires a sign which declares “The World is Yours.” Arguably, the second version is an improvement: Bancroft feels vindicated by a statement which is practically true, or feels true. Muni sees an unfulfillable promise, the lie of the American dream, of life. Hawks stages a party aftermath strewn with streamers which closely matches the dying hours of the ball which Hecht had concocted for UNDERWORLD. Though I’m inclined to give Sternberg a little credit here — the idea of a society engagement for the underworld is delightful, whimsical. Hecht knew gangland from his newspaper days. Sternberg decried research and liked to work from a position of romantic ignorance. There’s a contest for moll of the year. I love all the nicknames. Hawks also claimed to have suggested Dietrich’s tuxedo in MOROCCO, which is possible, I guess. But, though some rumours suggest Hawks was bi, and he gave several of his leading ladies a masculine edge, perversity is really more of a Sternberg thing, and Dietrich’s girl-girl kiss would seem more up his street. But who knows? Hawks’ anecdotes all revolve, in a way that would be monotonous if he wasn’t such a good storyteller, around his own mastery of every situation, his brilliant creative decision-making and his ability to get everybody to do exactly what he wants. Then again, his films are usually good enough to make you believe he really was that proficient. Did Hawks invent the money thrown in the spittoon in UNDERWORLD? Is that why he felt entitled to basically just steal it for RIO BRAVO? Or did he just figure it was worth doing again, thirty years later, since the audience has a short memory? At any rate, RIO BRAVO improves on the idea since it gives John Wayne more motivation to intervene in Dean Martin’s alcoholic degradation than George Bancroft had in pulling Clive Brook out of the gutter. Funny, Fiona hates stuffed shirt Brook in SHANGHAI EXPRESS (“He’s a chin,” explained Sternberg to Dietrich, when she asked what he new leading man was like), but since enjoying his one directorial effort, ON APPROVAL, she is open to liking him. She liked him in this, and was rooting for him and Evelyn Brent (as “Feathers”). It helps that George Bancroft really is disgusting. When I first began to read film reviews regularly, back in the eighties (gasp), a puzzlement was the high regard that (male) British critics had for figures like Clint Eastwood, John Milius and Walter Hill. A puzzlement because (a) the films didn’t seem to me to be that good and (b) the macho, what we would now call libertarian ethos (Hill & Milius I think called themselves right-wing anarchists) seemed like it would probably contrast fairly strongly with the politics and personalities of newsprint critics writing for The Guardian or The Independent or even The Sunday Times. Allowing for simple variations in taste and that maybe I was just missing something, there could wel be a sort of nostalgia for the man’s-man drectors of the forties and fifties, who made some really excellent films, on which those critics were weaned. So maybe, if you’re starved on Ford and Hawks in the current releases, you would be more inclined to embrace Milius and Hill as the best available substitutes. But if the films are RED DAWN and EXTREME PREJUDICE, isn’t it a rather unsatisfying feast? But having recently been blown away by DILLINGER, I get a better sense of the redeeming qualities of these gruff, cigar-chomping sociopath types. And Hill’s HARD TIMES, though not in the same league, is not bad. Handsome damn film, in fact. 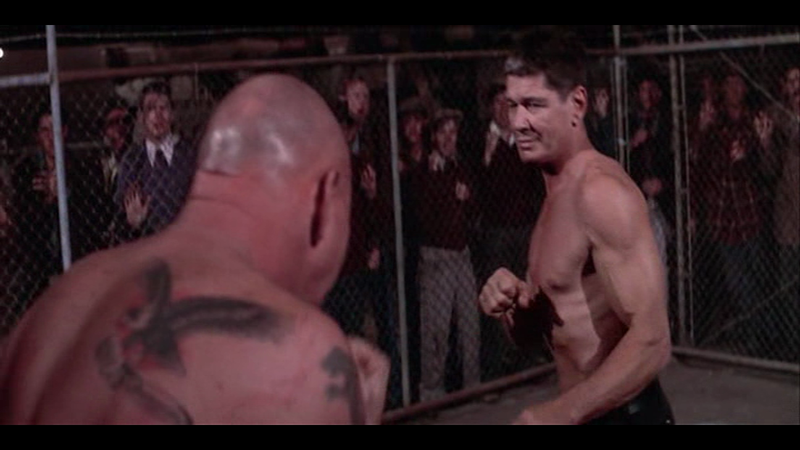 Maybe there’s a weakness in the ending – basically bare-knuckle fighter Charles Bronson never loses a fight in the whole movie, which does eat away at the sense of jeopardy. Still, I felt undeniable tension at times. Maybe it’s not a question of jeopardy, so much as a feeling that if the good guys win, it neutralizes the title and robs the film of a sense of purpose. The all-round happy ending says “Everything’s fine!” in a way that bothers me. It ain’t CHINATOWN. 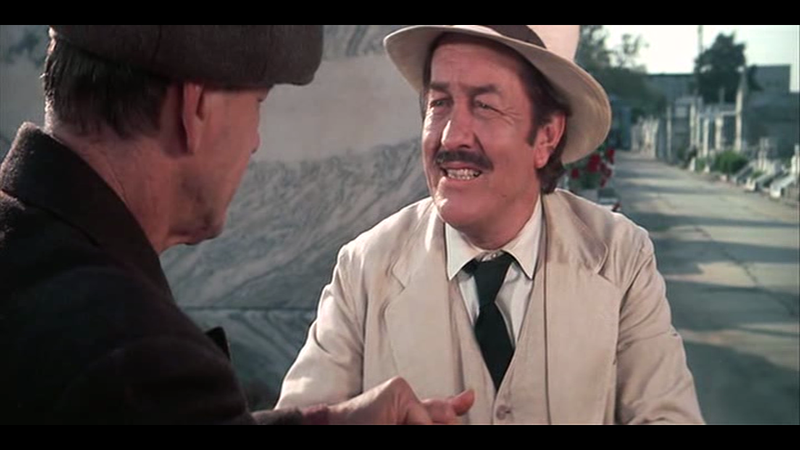 Still, the Coburn/Bronson voluble/taciturn double act is fine, and Strother Martin as “Poe” — supposedly a relative and certainly a fellow spirit of the famed writer — is a joy. Maybe Coburn is too cool to convince as, basically, a loser, with great dreams but a weakness for cards. 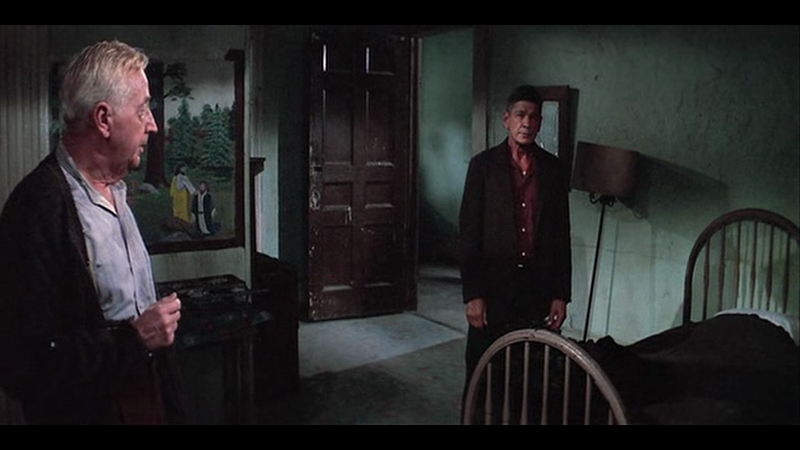 Coburn is always effective on screen but not always complex — Peckinpah could muster some confusion and inner conflict, but I didn’t buy him as self-destructive here, except for plot reasons. But I was impressed by how Melvillian it all was – Bronson in his hideous apartment with his stray cat – it’s clear that Melville was inspired heavily by THIS GUN FOR HIRE in which Alan Ladd gives milk to a cat, leading to Alain Delon’s canary in LE SAMOURAI. 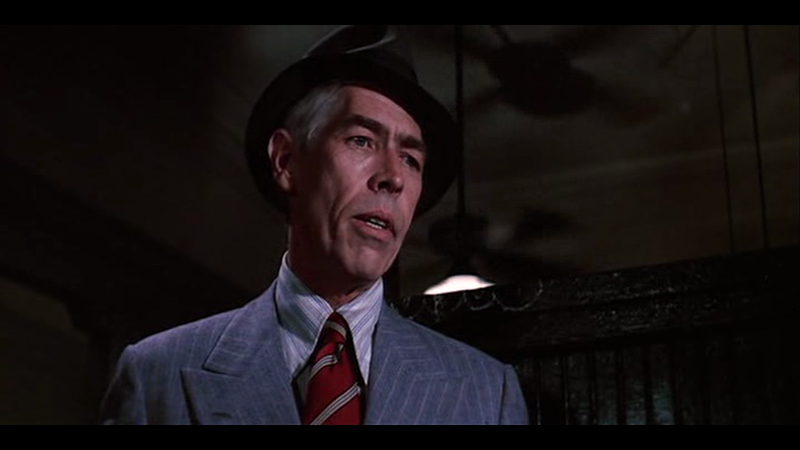 I wondered if Hill & co were also thinking of the milk & kitten motif in Sternberg’s UNDERWORLD, and given that James Coburn’s character here is called Weed, I think they probably were. What a complex interlacing of influences is at work! 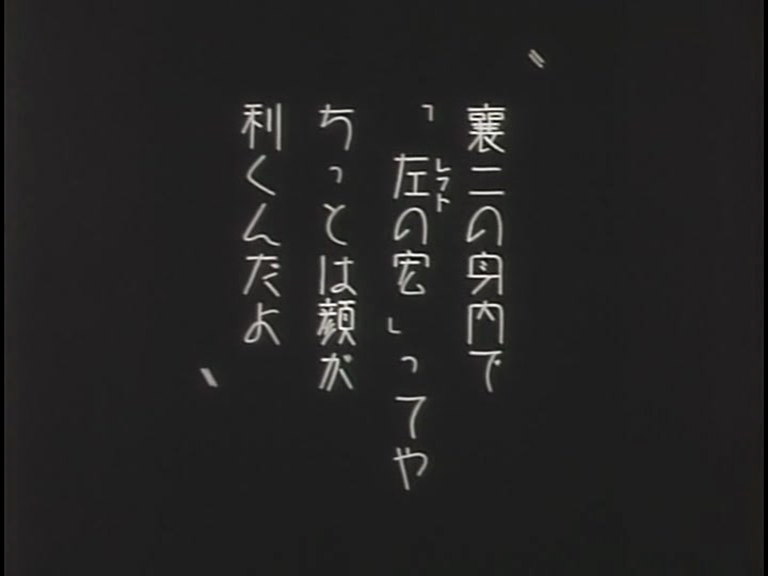 Beautiful deco kanji in an intertitle from Ozu’s 1933 DRAGNET GIRL, screened at the Hippodrome Festival of Silent Cinema, Bo’ness. This may be becoming my favourite Ozu, but I have lots more still to see. I’m really an Ozu newbie. It was about ten years ago I saw a bunch of late ones screened on Film4, and made a point of catching up with TOKYO STORY, but the ones I’ve seen outside of those experiences mean more to me. 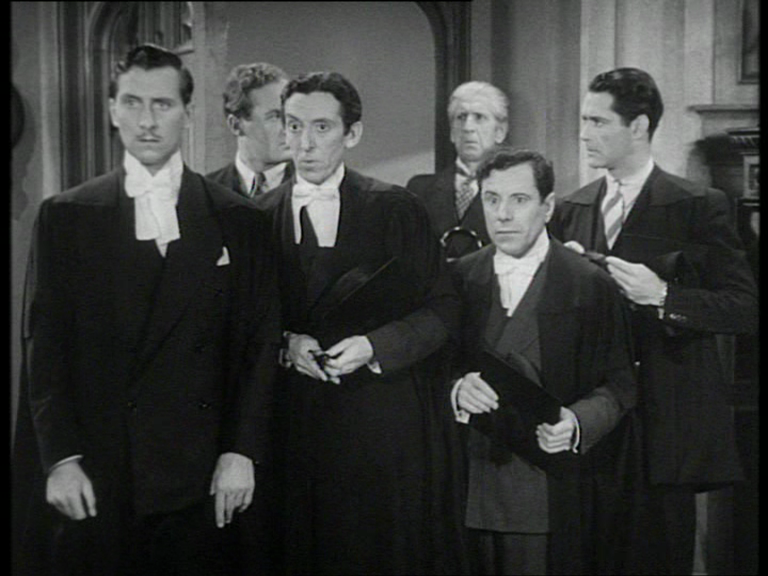 Chris Fujiwara, introducing the film, suggested that the large number of intertitles in the film may have been Ozu’s way of constraining the benshi, those sometimes-overzealous film describers who had a tendency to not just read out the titles for the benefit of non-readers, but to embellish the plots and elucidate the subtext and supply the thoughts of every character. They would scarcely have time in this movie. DRAGNET GIRL was screened with a live score by Jane Gardner, whose accompaniment of THE GOOSE WOMAN last year was a highlight. I found a couple of the scores on Saturday to be over-amplified — the venue is small and has excellent acoustics anyway. THE LAST LAUGH screened with a new arrangement of the original score, which was absolutely brilliant, but the violin and whistle could be a little piercing. 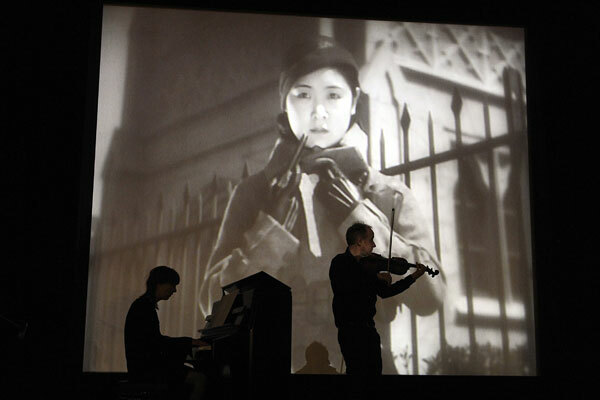 Ozu is usually thought of as “restrained” and “minimalist” (not to mention “transcendent”) and if that were true of DRAGNET GIRL the piano, violin and percussion score would have been too lush, emotive and emphatic. But this middle period film is, as Chris said, very *free* — Ozu allows himself more camera movement, much of it lateral (the movie poster on the wall in the background for ALL QUIET ON THE WESTERN FRONT suggests where that may have come from; otherwise, Sternberg and UNDERWORLD and the lost DRAGNET are clearly influences) but one shot rotating slowly around a big white coffee pot (symbol of the decadent western influence, we are told) rather like a prototype for the cuts in later films which will pivot our perspective around an orienting object such as a red kettle. And this is a crime melodrama — albeit one which avoids most of the possible cues for melodramatic incidents, admittedly. What looks like being a hit by typist/moll Kinuyo Tanaka upon her romantic rival, is averted by a girl-on-girl kiss which has as much impact — and is presented with even more aversion of the camera eye to protect the innocent — as an assassination would in a conventional gangster flick. But things do eventually reach a pitch of high tension and jeopardy, as our heroes go on the lam after a heist (really the only bit of crime-for-profit glimpsed in the movie). And so the score seemed an apt expression of the emotions lurking just beneath the polite surface of the characters. And it was absolutely beautiful, which is important, because so’s the film. I must have a word with Jane to see if I can get copies of her stuff so I can walk around with it playing in my head.